Many years before the book starts, a terrible serial killer named Alton Turner Blackwood murdered four families within mere weeks. He was only stopped because he was killed by the final survivor in the final family who was a fourteen-year-old boy. Years later that boy grew up to be a detective and he has a family of his own. Now, he feels very strongly that a recent murder resembles the first murder by Blackwood all those years ago. He is not the detective on the case, but the more he looks around the more the resemblance is uncanny. If he is right, other families will be murdered very quickly and his will be the final as the killer’s unfinished business. The question he struggles with is how this is happening as the original killer was murdered and many of the facts in the case were sealed. Is it a copycat or has Blackwood somehow returned to finish the job he started? Fans or mystery and suspense will enjoy this very intriguing story. Early on, all of the family members feel something is wrong and question their safety. It’s unusual they do not discuss these fears with each other, however. The ending is very satisfying and exciting as everything comes together quickly. This title has been named an Iowa Award winner for 2013-2014. Dexter Morgan was adopted when he was three and even though he doesn’t remember anything before that, his adopted father, who is also a cop, seems determined to help him rise above his past. As Dexter grows up, however, he begins to feel tendencies toward murder. As hard as he tries to fight it he finds himself murdering animals in the neighborhood. Once his father discovers this he teaches him how to execute a murder so that he will never get caught, while also showing him how to profile serial killers. He believes that if you have to kill you might as well kill people who deserve it. When Dexter grows up he becomes a blood spatter analyst in a police station while his sister strives to become a homicide detective. He works very hard to find people he believes deserve to die for their sins and making that a reality. Soon there is a new murderer in town who has caused quite a stir since the bodies never contain any blood. As Dexter tries to solve this case it keeps getting further into his psyche and he wonders if it is possible he is committing these murders and not even knowing it. Is it time for Dexter to pay for his crimes before he lost control completely? This murderous villain forces the reader to ponder very important issues that are often glossed over in television and movies. Is it okay to kill if you are killing other “bad guys”? Is it okay to take vengeance into your own hands? Are there people who truly have a disposition for murder or are they formed into that through environment or mental disease? Dexter Morgan can be a very sympathetic character, but he can also be a monster which makes these stories very complex and interesting to discuss with students. The story itself is very interesting and leaves you guessing until the end. Mystery readers will be fans of this book. Poison lived in a place called Gull with her father, baby sister, and stepmother. The Gull was located above a large swamp and the town consisted of many stilts that raised the town above the swamp. Poison was not happy here, but very few people ever left and she was fond of her sister, Azalea. One night Poison awakes to find Azalea has been kidnapped by phaeries. She immediately sets off on a difficult journey to see the Phaerie Lord to get Azalea back, but finds many obstacles in her way such as a scary woman who eats bones, a giant spider, and worse. This book does a nice job of creating an original story in a genre that many students like to read. 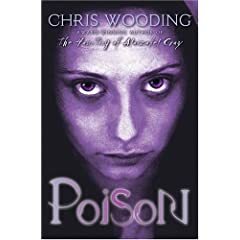 Each step of Poison’s journey is exciting, suspenseful, and a little bit scary which keeps you reading. The ending and ultimate fate of Poison, Azalea and the rest of Poison’s friends are a mystery right up until the end. 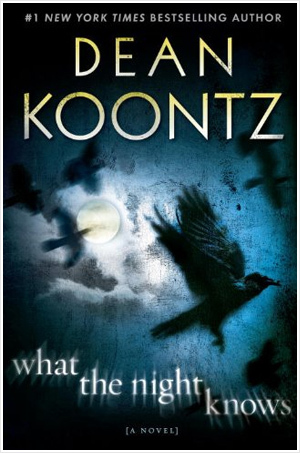 It was not predictable or overdone in any way and students who enjoy suspense and fantasy will enjoy it immensely.